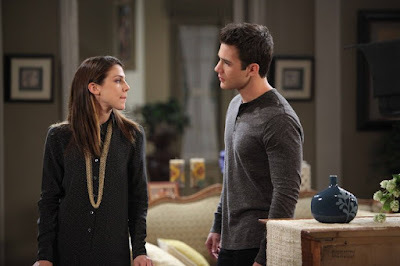 Today on the February 16 episode of Days of our Lives, JJ (Casey Moss) is upset when he learns of Abigail's (Kate Mansi) plans, and Jennifer's (Melissa Reeves) addiction affects her work. Meanwhile, Hope (Kristian Alfonso) and Rafe (Galen Gering) carry out a plan to neutralize Andre (Thaao Penghlis), while Andre takes advantage of Chase's (Jonathon McClendon) distress. You can watch the February 15 episode of Days of our Lives here.